Mr. Holder’s decision is justly being applauded across the political spectrum. Before placing a halo over the attorney general’s head, though, it should be remembered that it was Mr. Holder, pulling strings on Capitol Hill 15 years ago, who did more than anyone else to perpetuate the abuses he curtailed on Friday. Asset forfeiture was the most controversial law enforcement abuse in the 1990s. Republican Rep. Henry Hyde of Illinois noted at a 1993 congressional hearing that 80 percent of the people whose property is seized by the federal government under drug laws are never formally charged with any crime. Scores of horror stories about the fleecing of innocent owners spurred outrage far beyond Capitol Hill. 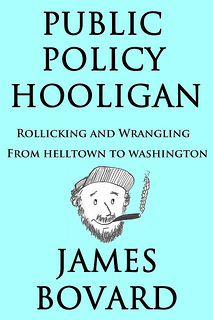 However, the Clinton administration stonewalled reform efforts by promising administrative reforms that never occurred. In 1997, Mr. Hyde, then chairman of the House Judiciary Committee, joined liberal Democrats, Rep. Barney Frank of Massachusetts and Rep. John Conyers of Michigan, to push a bill to roll back federal confiscatory powers. Mr. Hyde’s bill, which was endorsed by both the American Civil Liberties Union and the National Rifle Association, sailed through the House by a vote of 375 to 48. But Mr. Holder, then serving as deputy attorney general under Janet Reno, succeeded in largely torpedoing the reform effort in the Senate. Forfeiture abuses had proliferated largely because the government needed almost no evidence to commandeer private property. 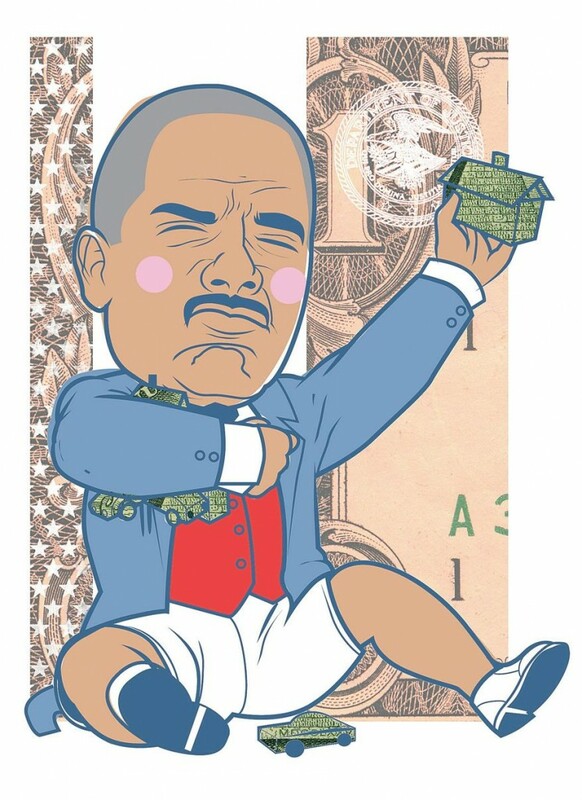 Mr. Holder told a Senate committee in July 1999 that “elevation of the standard of proof [for forfeiture] to ‘clear and convincing evidence’ would have a devastating effect on the government’s ability to establish the forfeitability of the property in complex money laundering and drug cases.” Mr. Holder portrayed the Justice Department as a helpless giant at the mercy of any forfeiture victim who cast aspersions on the government’s credibility. Mr. Holder was especially mortified by a proposal to temporarily return property when owners claimed a severe hardship from a federal seizure, warning that it could “potentially overwhelm the judiciary and threaten to bring justice to a standstill.” For Mr. Holder, the convenience of the court system was infinitely more important than the rights of property owners. Mr. Holder in 1999 also urged senators to “expand forfeiture into new areas where it can be used to combat sophisticated, serious domestic and international criminal activity.” The Senate largely acquiesced to Mr. Holder’s pleadings. After the enactment of the Civil Asset Forfeiture Reform Act of 2000, confiscations under Justice Department forfeiture programs rose tenfold in value between 2001 and 2012, reaching $4.3 billion in fiscal year 2012. Since Sept. 11, 2001, lawmen have made more than 60,000 warrantless seizures of $2.5 billion in cash from travelers who were not indicted, according to The Washington Post. The Justice Department routinely makes far-fetched claims in court to justify snatching drivers’ cash — including claiming that air fresheners dangling from rear-view mirrors should be presumed to hide the scent of drugs. Drivers have also been fleeced due to supposed drug-trafficking trademarks such as “trash on the floor of a vehicle” and “abundant energy drinks,” the Post reported. Mr. Holder’s latest initiative is not enough. The Justice Department has a long record of pledging reform under pressure and then reversing ground when the publicity spotlight shifts elsewhere. There is no substitute for congressional action that permanently blocks the federal government from plundering innocent Americans. • James Bovard is the author of “Attention Deficit Democracy” (Palgrave, 2006) and “Lost Rights” (St. Martin’s, 1994). So they’re going to keep all the loot for themselves. Hm. Lawhobbit, but if the feds have the loot, doesn’t that automatically serve the national interest?